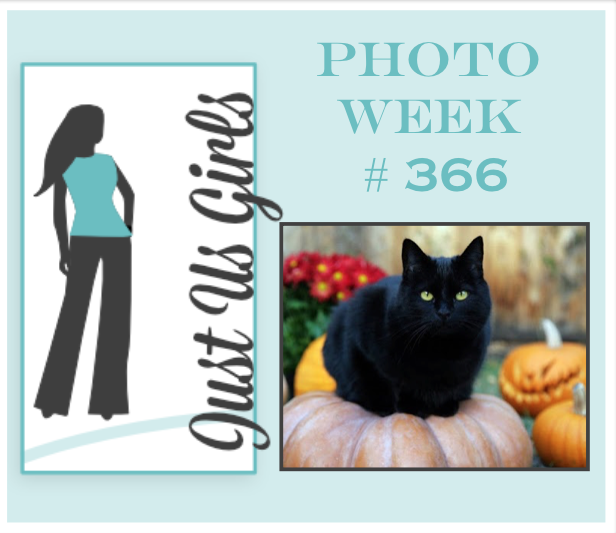 Hello Friends, it’s Saturday and time for another Just Us Girls challenge! It’s photo week and I kinda took my own liberties with this one, and went a different route than my teammates. I saw this card HERE on Pinterest and wanted to make my own on my Silhouette Cameo. I have a friend at work who adores cats and I am going to give it to her for her Birthday. I thought the DP had a vintage vibe, so I decided to embrace it and add some yellow flowers and some buttons too. The sentiment is one of my favorite’s from Verve. Categories: Cards | Tags: Card making, Cards, rubber stamps, Silhouette Cameo, Thinking of you, Verve Stamps | Permalink. What a great card. I love your flowery kitty. I love how you did this very different feminine calico cat. Great job with the colors from the photo accenting with the flowers and the buttons. Very vintage-y and elegant, Nancy. Looks like we both lacked cat stamps. I love your take on the photo, Nancy! This is such an elegant card! Love that flowery cat silhouette, and the pretty flowers! Lovely card with that vintage paper kitty. Love your take on the photo. 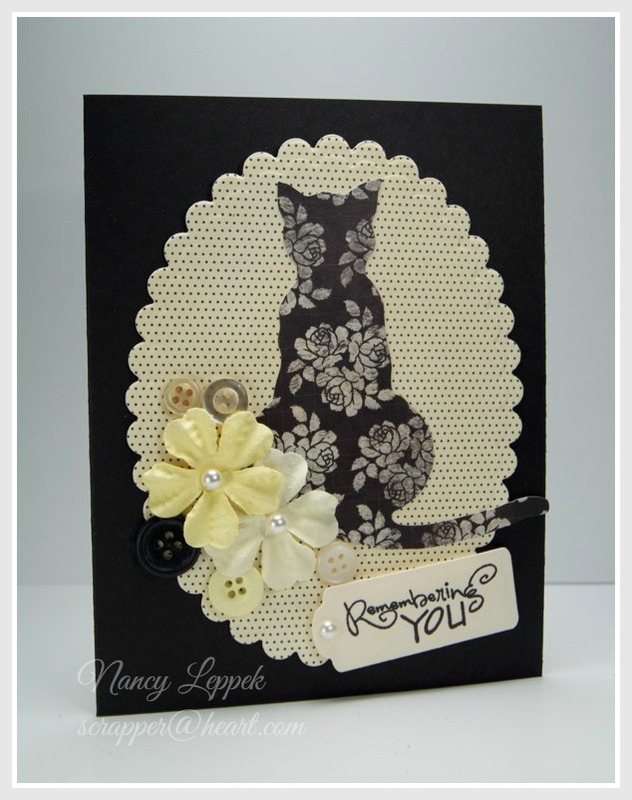 Such a pretty cat silhouette, Love the addition of the flowers and buttons. Great card. This is so pretty Nancy! I love that cat silhouette and the paper you cut if from! Your cat loving friend will love this! Love what you have done with that cat, and yes, it’s very vintage-y. And those yellow flowers are the perfect embellishment. Well done and great take on the challenge!! Nancy, this is fabulous! I love that patterned cat against the polka dots. The flowers are a lovely touch to this. Love your flowery cat! Such a fun card! Love how different your take is on our inspiration photo. Simply lovely.